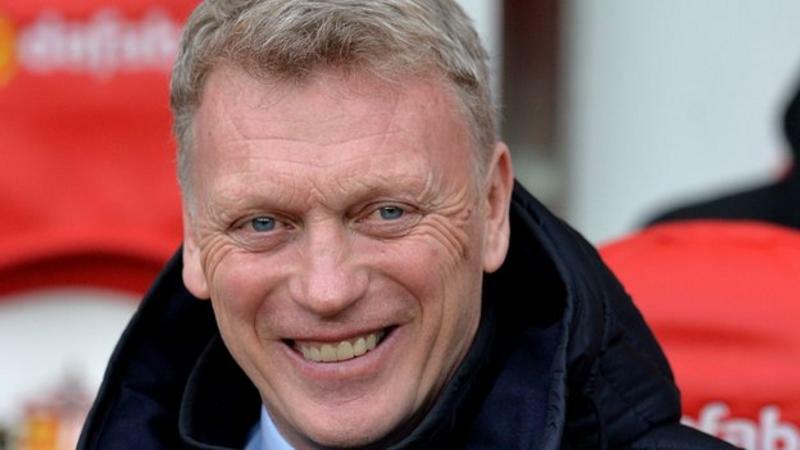 David Moyes spent 11 years at Everton before managing Manchester United, Real Sociedad and SunderlandWest Ham have appointed David Moyes as their manager.The former Everton and Manchester United boss replaces Slaven Bilic, who was sacked on Monday with the club in the Premier League relegation zone.Moyes has been out of work since May, when he resigned as Sunderland manager after the club's relegation to the Championship. Hammers joint chairman David Sullivan said the 54-year-old Scot is "the right man to turn things around".He added: "We need somebody with experience, knowledge of the Premier League and the players in it, and we believe David can get the best out of the players. "He is highly regarded and respected within the game and will bring fresh ideas, organisation and enthusiasm. "He proved with Everton that he has great qualities and we feel that West Ham United is a club that will give David the platform to display those qualities again. "Moyes' first game in charge will be at Watford in the Premier League on 19 November.He said: "It's a big job we have in hand now but I'm sure that with everyone together we can get the right result between now and the end of the season. "I'm really looking forward to meeting the supporters, being in the stadium with them. I'm looking forward to them getting right behind the team and my team also. "We need their support, we need everybody with us." Graeme Howlett, editor of the West Ham fans' website Knees Up Mother BrownThe fans seem quite unanimous in that they are not particularly keen to see Moyes come in. They would prefer to see someone more progressive.I suspect there will be an awful lot of criticism for the board, who are already under intense pressure following the move to the Olympic Stadium, which has not gone down well.Various reasons have been mentioned, including his record at Sunderland, where he came in at a similar position and failed to keep them in the Premier League. There was also the incident with the female reporter which has been mentioned a few times. We also asked Sportsday readers for their opinions on Bilic's sacking and who they thought should replace the Croat:Micky Noble: If West Ham want a credible manager Moyes is not the man. They need an established boss who will steady the ship... #PardewInLee Cooke: If I was the West Ham owners, I'd move heaven and earth to get Harry Redknapp back in charge! Would galvanise that team.Phillip Barlow: We want someone who will improve and motivate this group of players. Whether it's Roberto Mancini or Terry Westley, we don't care.Daniel Quick‏: As a non-West Ham fan, feel like Moyes is not the right option. Koeman would be great for West Ham, shouldn't be judged on last three months.Joseph Mirza‏: People forget the good job Moyes did at Everton and just think about United, Sunderland was an impossible job.